The realization of Eolus’s projects in the Municipality of Sundsvall (Electricity Price Area 2 in Sweden) is based on the Power Purchase Agreement (PPA) signed with Google in December 2015 in relation to the Jenåsen wind farm. Under this PPA, which is the second between Google and Eolus, Google will purchase all electricity generated by the Jenåsen wind farm, comprising 23 wind turbines and an installed capacity of approximately 79 MW, over a period of ten years. During the 2016/2017 fiscal year, Eolus signed an agreement to sell the wind farm to Munich Re, which will take over the facility when it is completed in summer 2018. Eolus will manage the facility on behalf of the customer. Under the grid connection agreement for Jenåsen between Eolus and E.ON Elnät, additional transmission capacity will also be installed through the construction of a new national grid substation in Nysäter. This will enable the development of other wind power projects in the area, by Eolus as well as other operators. In December 2017 Eolus signed an agreement for the divestment of two wind farms in the area which grid connections have been made possible by the investments in the national grid substation in Nysäter. Aquila Capital is acquiring Kråktorpet and Nylandsbergen. For wind farm Kråktorpet comprising 43 wind turbines with a capacity of 163.4 MW Aquila will provide construction financing. For wind farm Nylandsbergen comprising 18 wind turbines with a capacity of 68.4 MW will be paid in full upon completion and take over. An agreement regarding grid connection for both wind farms have been signed with E.ON Elnät and a balance of plant contract regarding both wind farms have been signed with Veidekke. Both wind farms are expected to be handed over to the customer during the second half of 2019. Eolus will manage the facilities on behalf of the investor. The projects are located in forest areas with relatively few local residents, at a height of 300–450 meters above sea level with good wind resources. 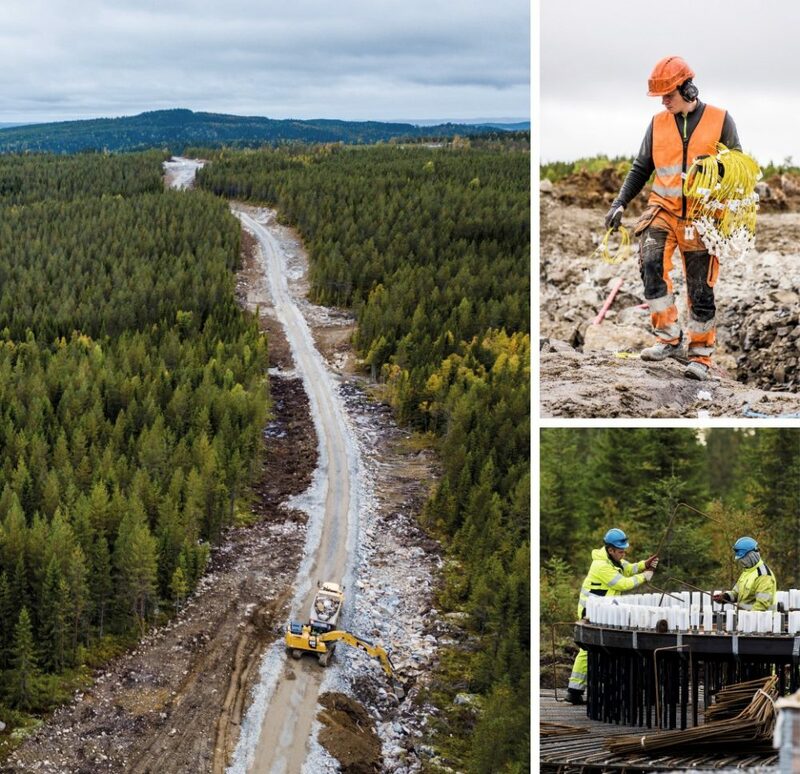 *The photos above are from the construction of wind farm Jenåsen.